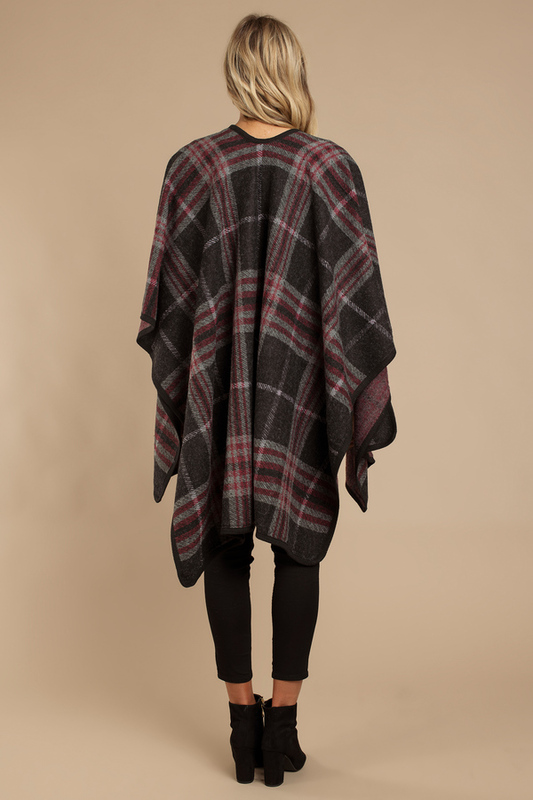 Check out Tobi's Mad For Plaid Poncho If in doubt, wrap yourself in plaid this fall. The Grey Mad For Plaid Poncho is a checkered poncho in a cozy weave that makes an on-trend alternative to a coat when the temperature starts to drop. 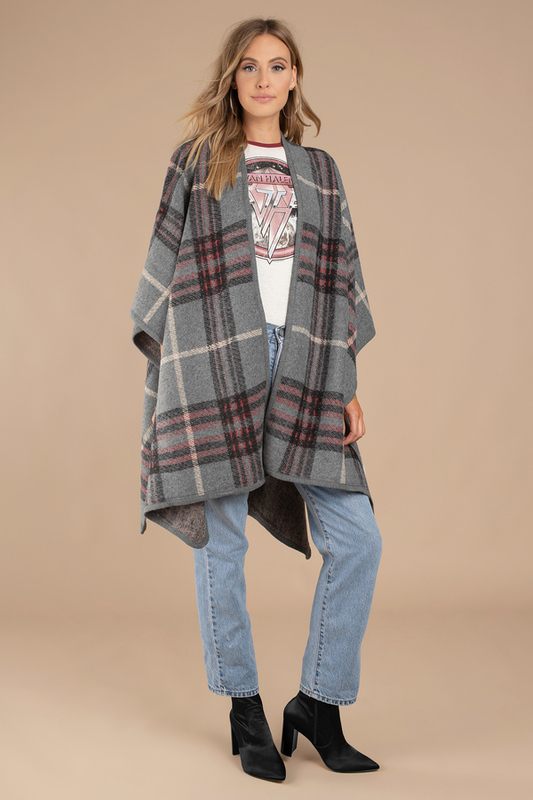 Throw this trendy poncho on over denim when there's a chill in the air. If in doubt, wrap yourself in plaid this fall. 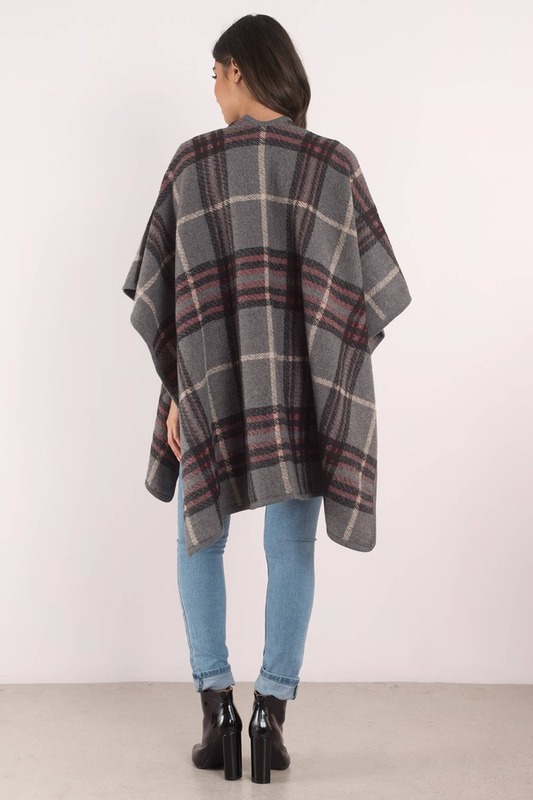 The Black Mad For Plaid Poncho is a checkered poncho in a cozy weave that makes an on-trend alternative to a coat when the temperature starts to drop. Throw this trendy poncho on over denim when there's a chill in the air. If in doubt, wrap yourself in plaid this fall. The Grey Mad For Plaid Poncho is a checkered poncho in a cozy weave that makes an on-trend alternative to a coat when the temperature starts to drop. Throw this trendy poncho on over denim when there's a chill in the air. Black modeled on One Size.